When considering lasik eye surgery many people assume that they are not a candidate for the procedure. 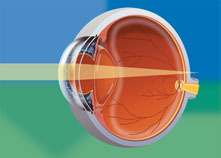 The only way to truly determine if you are a candidate for lasik is to have an evaluation with your doctor. A complimentary consultation allows Manrique Custom Vision to determine if we will be able to reduce your dependency on glasses and contacts, or in most cases eliminate the need for your glasses and contacts! 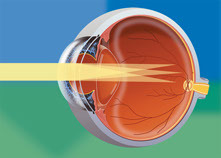 Nearsightedness (Myopia) is a common vision condition in which there is an abnormal curvature of your eye that causes objects farther away to be blurry. Farsightedness (Hyperopia) is a common vision condition in which your cornea is more flat than round, objects near to you and at a distance may be blurry. 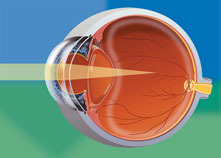 Astigmatism is a common vision condition, in which you have an imperfection in the curvature of your eye that causes haloes and/or blurred vision. If you experience an extreme change in your vision in a short period of time, you may not currently be a good candidate for lasik surgery. You need to know it is very important for you to visit your eye doctor to find out what is causing the change in your vision. If you have an autoimmune disorder you would not be a good candidate for lasik surgery, due to your condition’s impact on your healing and recovery process. The good news is that there are still options other than lasik surgery that could be available to treat your vision! You never come in to find out from your eye doctor if you could be a candidate! Call 210-354-2020 today to schedule your complimentary VIP Lasik Surgery consultation and discuss the options available to you with your Z-Lasik doctor, Dr. Carlos Manrique, and your patient counselor. begin your journey to clearer vision.